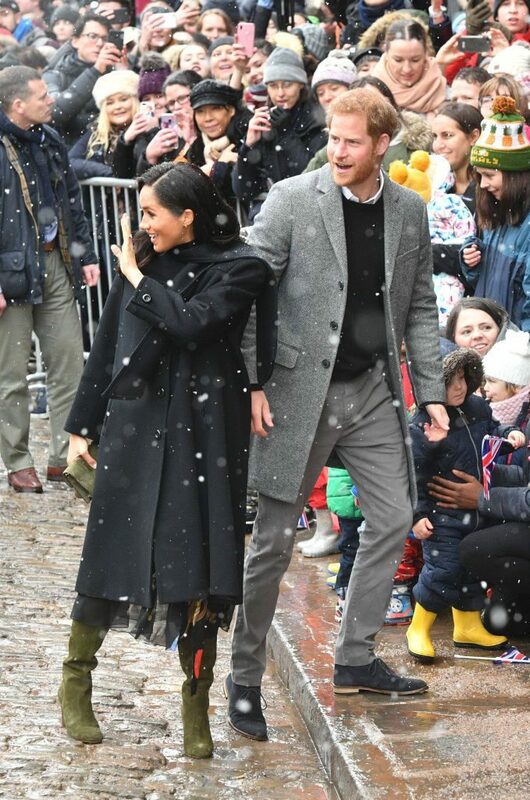 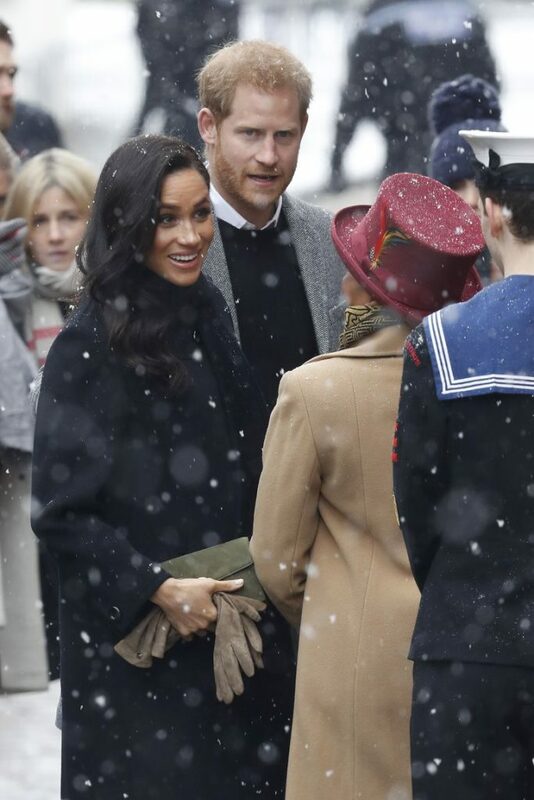 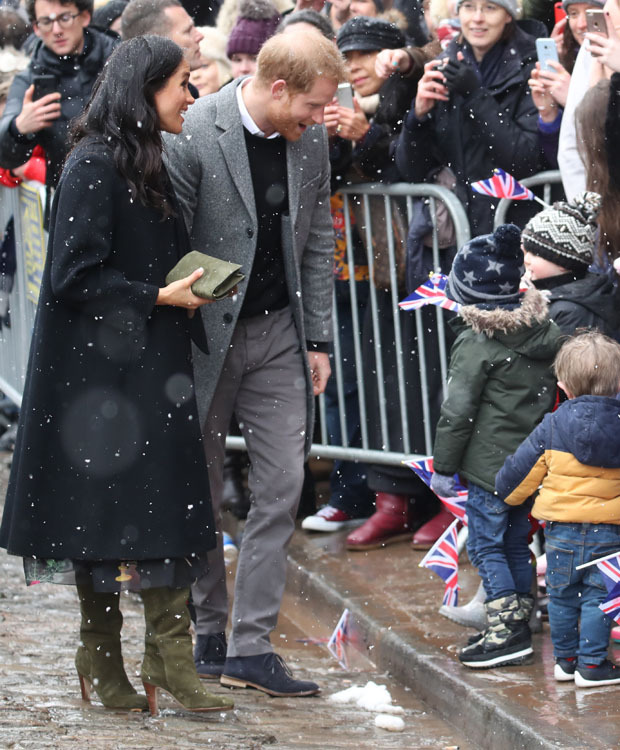 Meghan, Duchess of Sussex and Prince Harry, Duke of Sussex meet children in the crowd as they arrive at the Bristol Old Vic on February 01, 2019 in Bristol, England. 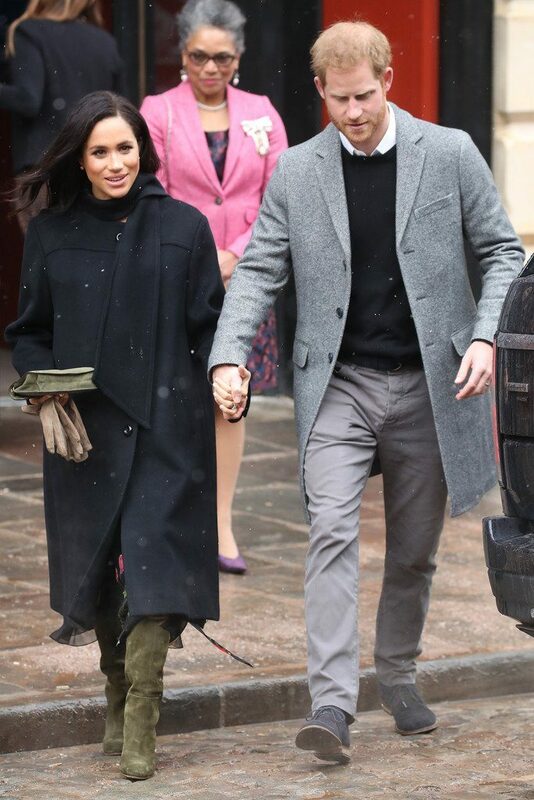 The Duke and Duchess will tour the recently renovated facility, finding out more about the theatres unique history and links to the local community. 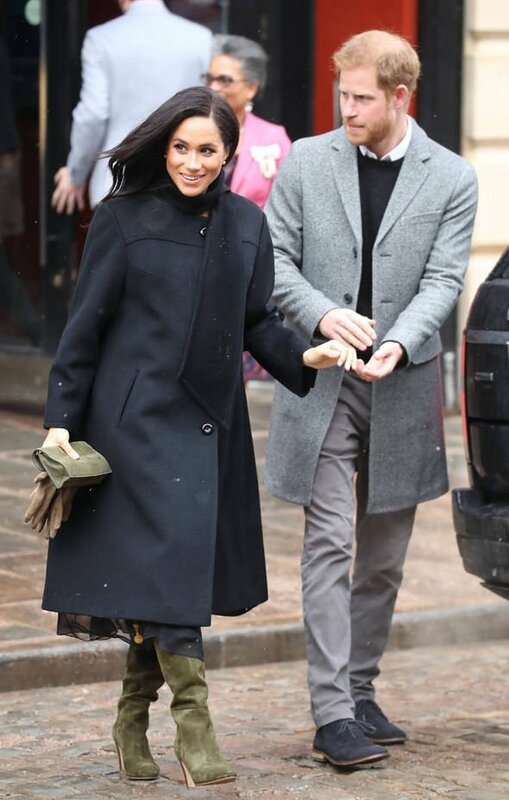 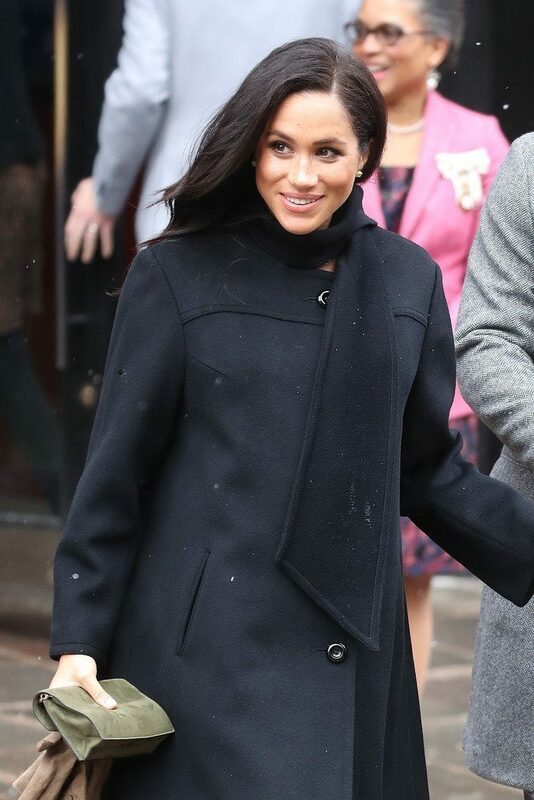 She is pictured leaving the Bristol Old Vic theatre wearing a William Vintage 1960s black cashmere wool coat that has a scarf collar. 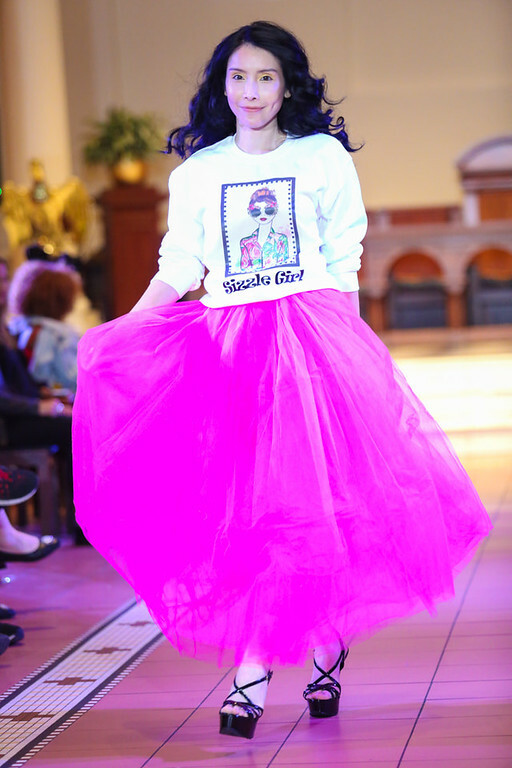 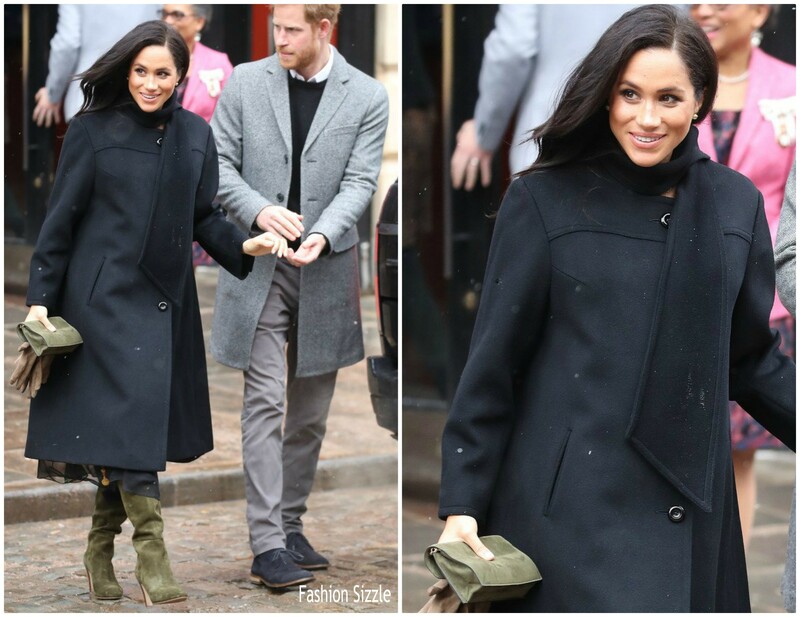 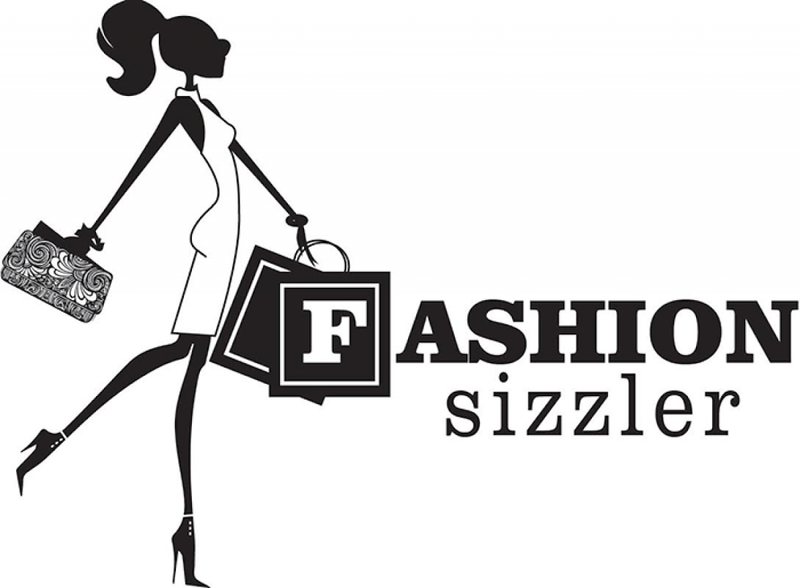 She styled her look with an olive green Sarah Flint ‘Marina’ boots along with a Ralph Lauren clutch.